Over a decade of excellence and exemplary achievement. Fairway Holdings opened its doors in 2003 and has since established a reputation for excellence in the local luxury real estate market, offering a variety of lifestyle enhancing products and services. The Company entered the commercial arena with the development of an 800 KVA mini hydro power plant in the village of Sitagala in Balangoda. From this humble beginning, we have continued to expand rapidly, gaining an outstanding reputation for creating highly contemporary 21st century living spaces. This reputation has made us one of the foremost and socially responsible developers of luxury residential properties in the country. With a diverse, talented, and experienced workforce of more than 700 employees led by a vastly competent management, Fairway Holdings stands as one of Sri Lanka's leading and fast growing, dynamic emerging corporates, raising the bar of residential, hospitality, and mixed-use projects. 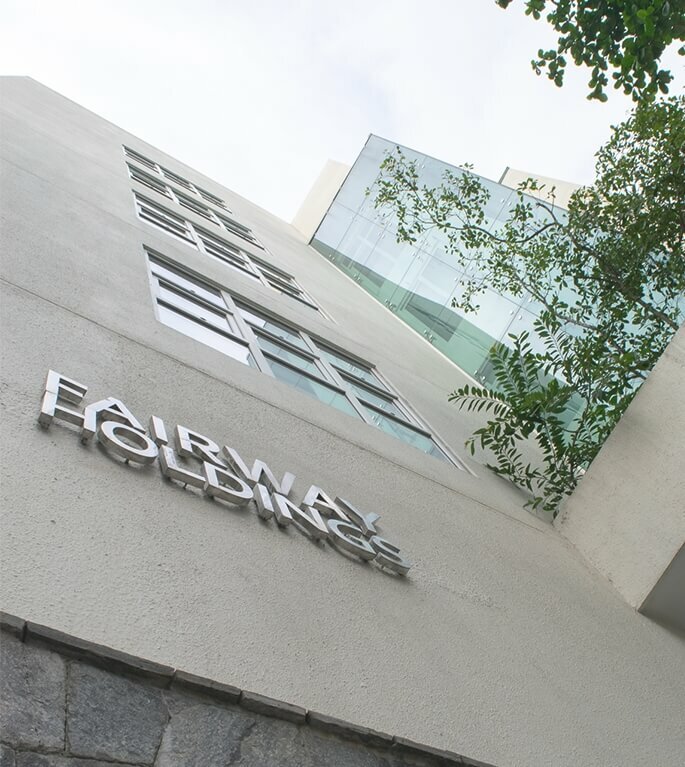 In addition to property development, Fairway Holdings is a fully-fledged corporate office operating in a plethora of industries including Leisure, Financial Services, Waste Management, Aviation, Trading, Biotechnology and Aquatic Resources. We follow a unique business model which focuses on wealth creation for all our stakeholders and profit sharing with our employees, whereby giving back to the community. Comprised of industry leading professionals, who come together to share a common vision in development and a passion for the business. Two of the Fairway Holdings’ developments, the Fairway on the Waterfront and the Fairmount-Urban Oasis, received the ICTAD Construction Excellence Award in 2008 and 2010 respectively, reinforcing that the Group's hands-on approach with each of its projects was key to creating outstanding developments in the country. A third property, Sky Gardens is currently under consideration for the Award as well. The iconic structures dominating the Rajagiriya-Kotte skyline are a display of outstanding qualities in terms of architecture, professionalism, innovation and an eco-friendly, socially responsible development.